At the other end of the spectrum, Stern is also critical of charities which, unlike health care delivery systems, do not perform critical social functions. He cites the various college football “bowl” games that have proliferated around the country stating: “It is no doubt puzzling to most Americans that this string of open-air parties, football games and corporate promotion events have the same charitable designation as Habitat for Humanity, Teach for America, of the local food bank.” It was not only puzzling for me, but a complete surprise! Resist the old ways. Think of charitable giving more in terms of investing for social impact. Ignore overhead and administrative ratios or at least put them in proper perspective. Focus on the end customer of the charity and whether s/he is being served by that charity. Base charitable giving not on personal connections and relationships but on objective evidence of effectiveness (admittedly, hard to find). Look for indicia of quality. Identify top performing organizations not just by looking for four star ratings on Charity Navigator, but by finding those that are crystal clear about their goals and transparent about their research results on their websites. Look for growth. Look for charities that worry less about overhead and more about results. Follow the leaders. Signalers in the financial marketplace exist; they exist in the philanthropic marketplace as well. People swear by the Oracle of Omaha (Warren Buffett) as the messiah of investing, so why not Bill and Melinda Gates as the bellwethers of philanthropy? Or organizations like GiveWell (a research organization), New Profit (venture philanthropy), and the Robin Hood Foundation, all of which are committed to careful research and analysis. Pool donations. This is an interesting concept – the idea of a philanthropic “mutual fund.” Pool the funds and let the professionals do the heavy lifting. While options for this retail approach are extremely limited right now, it may be an idea whose time has come. For those who are serious about philanthropy, it is advisable to think of the private foundation or donor advised fund not as a charitable pocketbook but as an investment portfolio that needs to be tended on a regular basis. We chastise politicians who think that the solution to most problems is to throw money at them, yet many of us approach our own philanthropy in just that manner. Perhaps the family foundation of the future will build its own infrastructure for more effective assessment and monitoring of the charitable projects in which they invest. Perhaps the philanthropist of the future will become more coldly calculating in his/her approach, looking for solutions instead of stopgap measures. And why not? We do it in business all the time, relying on creative destruction to take us to the next economic level. Perhaps what the charitable world needs right about now is its own little bit of creative destruction. Peter B. Lewis was not a household name, but Progressive Auto Insurance, the company he ran for 35 yea rs certainly is. Peter died on November 23rd at the age of 80. Beside his extreme success, what made Peter so special? He was one of the 122 billionaires who signed the Giving Pledge promoted by Bill and Melinda Gates and Warren Buffett. The Giving Pledge is an audacious and ambitious project on the part of the Gateses and Buffett to invite (cajole?) the world’s wealthiest individuals and families to commit to giving more than half their wealth to philanthropy or charitable causes either during their lifetime or at death. It is not a pooled i nvestment approach nor does it favor a particular charitable sector. The idea is to steer the philanthropic discussion among people of means, thereby drawing more folks into philanthropy, and to lead by example. Families and individuals who make the pledge do so publicly, issuing a statement explaining their decision. It is a moral, not a legal mandate. Basically, the Gateses and Buffett are trying to lead wealthy donors into the marketplace of philanthropic impulses, without putting any specific restrictions or conditions on those impulses. It is a fascinating story about which I have blogged before. The whole thing started in June 2010 with 40 signatories. When I first blogged about it (4/26/2012) there were 81 participants. This past February there were 105 and today there are 122. Since inception, 6 of the signatories, including Peter Lewis, have passed on. For more information, check out this recent story on 60 Minutes. Getting back to Lewis – he was quite a character, and I don’t mean that necessarily in a good way! Just yesterday, one of our clients told me that he knew Lewis personally and, although he was very smart he was also a real S-O-B. From what I have read of him, I don’t doubt it. Lewis’ approach as a philanthropist was apparently the same as his approach as CEO – tough, no-nonsense, take no prisoners. 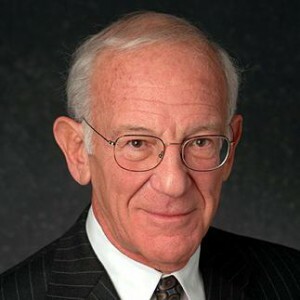 He once told the New York Times that at Progressive he had “fired more Harvard Business School graduates than most other insurance companies have hired.” (And you thought fellow billionaire Donald Trump (NOT a member of the Giving Pledge) was a tough guy….) Similarly, when the charities Lewis supported did not do things the way he liked, he was not above taking his marbles and going home. Ask the folks at the Guggenheim Museum, where he donated $77 million over 11 years before resigning as the board chairman in 2005 over the strategic direction of the museum. Or the board at Case Western Reserve University in Cleveland, where Progressive is based. He once staged a year-long boycott of cultural and charitable groups in Cleveland because of his discontent with the progress and rising cost of a Frank Gehry-designed building he was underwriting on campus. Although he ended up contributing $36.9 million to complete the building, it was not without causing plenty of angst in town, even demanding the resignation of the entire board! According to the New York Times, Lewis has already given away about half of his $1 billion estate to various organizations such as the Center for American Progress and the ACLU. Lewis’ alma mater, Princeton University, has received more than $220 million over his lifetime. Lewis was obviously not a warm, fuzzy kind of guy. Many of those who knew him couldn’t stand him. Colleagues, employees, charitable organizations – all may have quaked in his presence. But at least he gave back and for that we are grateful. RIP, Peter Lewis. In addition to this particular BHAG (“Big Hairy Audacious Goal”) of increasing meaningful philanthropic participation by ultrahigh net worth families, Mr. Buffett and the Gates’ wanted to take the philanthropic discussion up a notch and try to increase overall giving at all levels. Don’t discount the symbolism factor of this leadership by example – it is a very powerful motivator and the reason for the public nature of the pledge. Time will tell if this part of the goal is successful, or even measurable. But certainly in the rarefied society in which the founders travel, the Pledge appears to be working. When it was first kicked off three years ago in June 2010, there were 40 signatories. By April, 2012, when I first blogged about the Pledge, participation had more than doubled to 81. Today the total stands at 105. 12 of these folks are the first non-US signatories to the pledge, representing the United Kingdom, Australia, South Africa, Germany, Russia, India, and Malaysia. The combined philanthropic pledge of this new cohort stands north of $10 billion. The global component of such a movement is actually more difficult than you might think. Just like everything else, there are definite international cultural differences regarding philanthropy. Initially, when the founders met with folks in countries as diverse as China, India, and Saudi Arabia, they faced hurdles ranging from civic modesty to an overriding need to perpetuate family dynasties. Not surprisingly, a lot was lost in translation, leaving some potential pledgers thinking they would be legally and contractually bound (no, just morally bound) or that they would be locked into supporting certain charities or foundations (which they are not). In fact, the pledge could not be simpler or more flexible – all that is asked is that a majority of a pledger’s wealth go to philanthropic causes “that inspire them personally and benefit society” and that the pledger make a public statement about his/her commitment. As successful as this campaign has been, we need to keep it in perspective. 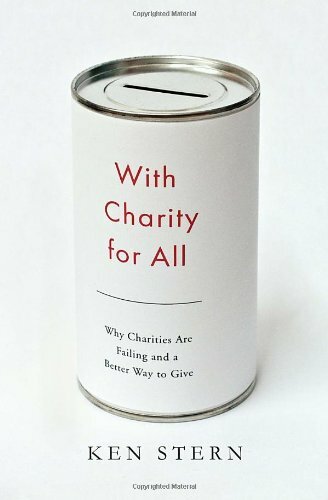 Asking anyone at any level of wealth to give away the majority of their net worth to charity is a tough sell. 105 billionaires have made that pledge so far and we celebrate and thank them for it. Using Forbes list of the “World’s Billionaires” as a scorecard, Buffett and the Gates’ now have only 1,121 folks to go.